Andrew Shanks is the latest addition to the Dynamo Multisport team, bringing his coaching experience, passion and enthusiasm for endurance sports in his new role as a Multisport Coach within the Dynamo family. He has been working with athletes of all abilities and all distances since 2008. He also has been coaching DMS’ PowerCycle indoor cycling Classes and conducting blood lactate testing since the beginning of 2011. Complementing his coaching experience, Andrew is pursuing his Masters in Exercise Science at Georgia State, a complement to his BS in Sports Management he received as an undergraduate. 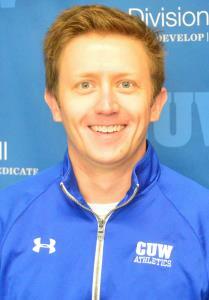 A certified USA Triathlon Level 2, USA Cycling Level 2 and USAT youth & Junior Coaching Certified professional, Andrew has also served as the Head Coach of the Holy Spirit Upper School Cross Country team. He was named GISA Region 1AAA Coach of the Year for both the Boys and Girls teams at Holy Spirit. Leveraging his experience and passion for coaching youth and juniors. Success. Coach Andrew Shanks has been notified of your message.